Take care of your body with Amerispa. Thanks to the peaceful, muted ambiance of our centre in Laval, you can dive into well-being and let the gentle feeling awaken your senses. A new range of skin care treatments and medical aesthetic treatments awaits you. 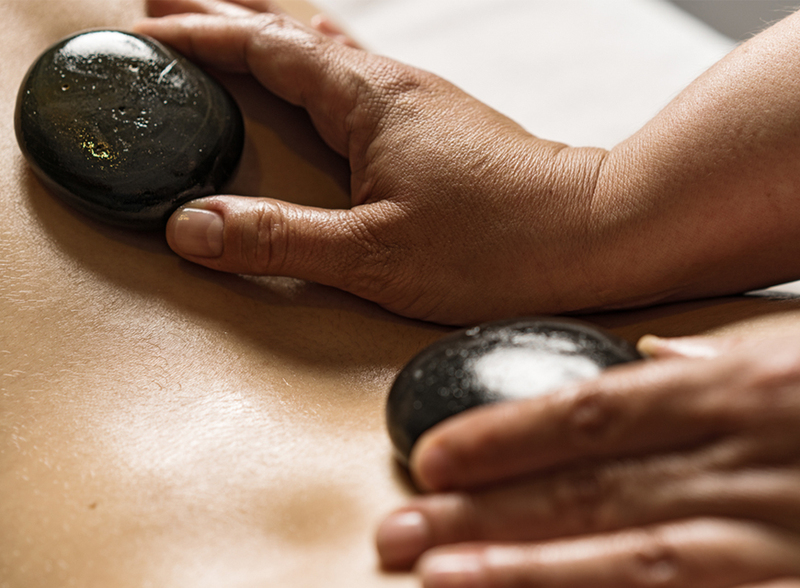 The Amerispa centre at the Sheraton Laval will give your body the attention it deserves. After a shopping spree or a day out with friends, take the time to breathe. Enjoy a variety of massage therapies, as well as high-quality skin care and body care treatments. Close your eyes, and let go. Before or after your relaxing massage, enjoy a Shellac manicure or pedicure. Then, extend your experience by making your skin like new with a microdermabrasion treatment. By stimulating the collagen in your skin, the treatment eliminates scars and visible wrinkles, to give you back that radiant glow that suits you so well. Take care of your legs too, with waxing, electrolysis or IPL hair removal. 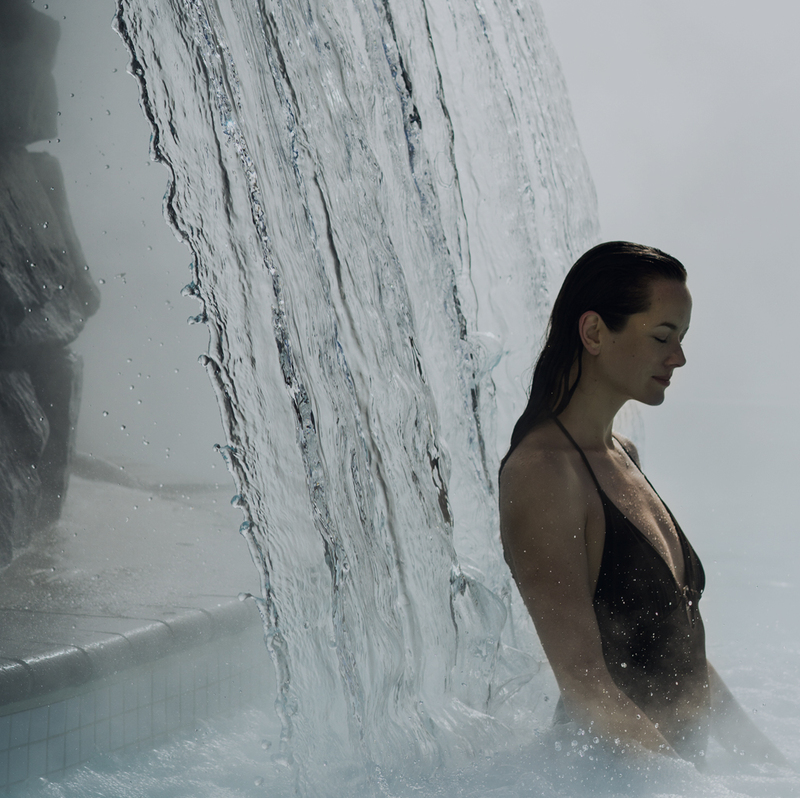 From a eucalyptus steam bath to a Finnish sauna, jacuzzi or hot water pool… When you purchase a spa package or 2+ hours of services, your experience will continue in the high-end facilities of this four-star hotel. For more information on the hotel, visit the Sheraton Laval website. Our therapists are all certified by a professional order. An insurance receipt can be issued for all massage therapy treatments upon request. A massage with encompassing movements for incomparable well-being. It provides total relaxation for your body and soul. From the tip of your toes all the way to your knees, this smooth and draining massage enables better blood and lymph circulation. It relieves tired legs and revitalizes feet. A massage specifically designed in an all-comfort environment for expecting mothers. It encourages relaxation while reducing tensions, which often accompany pregnancies. The use of neutral oil (no essential oil) is beneficial for back, spinal and leg pains. A massage that combines the sense of smell with the effectiveness of essential oils. Essential oils are specially selected according to your needs. Reviving or soothing, it will take you into a world of well-being. Tailored to your needs, this massage eliminates muscle and back pain by concentrating on tension points. It will bring you pure well-being. Combining the virtues of a massage and the gentle sensation of warm and captivating rain, this massage promotes comfort and muscle relaxation while balancing the nervous system. 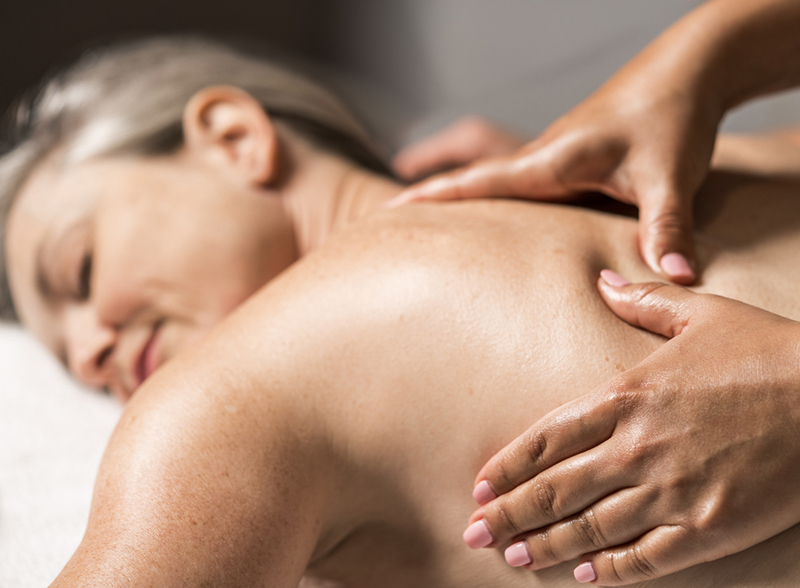 Bringing comfort and warmth, this massage soothes muscle pain in order help you relax and recharge your energy. Warm pebbles will glide on your skin from head to toe using long stroking massage movements. A massage designed by our creative team in accordance with Amerispa's expertise. Long, slow and fluid movements allow a profound connection with oneself. An experience which gives the impression that time is standing still. A massage given using an ancient ritual. Alternating movements with warm stones to relieve muscle tensions and cold stones to reduce inflammation, boost energy and stimulate body tone. Twice as good! 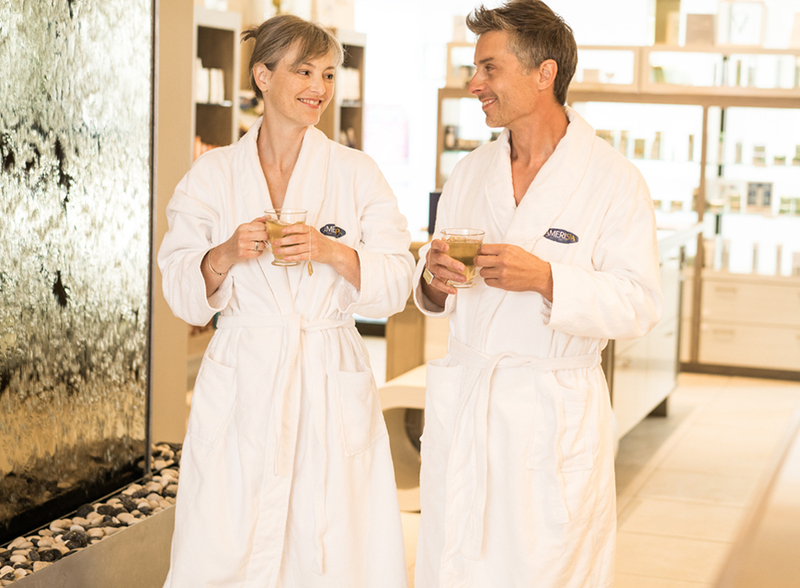 Enjoy this exceptional relaxation moment with someone special. It is also a nice way to initiate your child to the benefits of massage therapy. After a diagnostic of your skin, your beauty technician will adapt the facial treatment in order to suit the needs of your skin. A face, back-of-the-neck and shoulder massage compliments these treatments. A classic facial treatment which satisfies people looking to relax while getting a facial cleansing. Skin, whether sensitive, dehydrated or oily, is cleansed to restore a more radiant complexion. This made-to-measure facial treatment is 100% adapted to your needs and promotes a radiant complexion while eliminating signs of fatigue. A face, shoulder and hand massage provides a real moment of relaxation. Scrub off the effects of time with this regenerating, smoothing and tightening facial treatment. A dual action anti-aging mask and a face, shoulder and hand massage provide a true moment of relaxation and effectiveness. A delightful moment that deeply plumps the skin, reduces wrinkles and restores facial vitality. Replenished, skin regains softness and luminosity. A warm facecloth and foot massage will follow the application of the mask! A treatment perfect for a visible and long-lasting facelift due to a lifting modelage and collagen mask. A warm facecloth and foot massage will follow the application of the mask! See our aestheticians in order for them to explain and guide you towards the treatment that best suits your needs. The prices below are indicative only. A microdermabrasion session refines skin's texture and scrubs imperfections while stimulating collagen in order to reduce lines and wrinkles. A professional treatment for proven and lasting results. A light, micro-crystal beauty flash of the skin during a facial treatment is enough to greatly improve your skin's tone and radiance. Acne scars, open pores, wrinkles of fine lines? It is as a cure that you will get the best results in microdermabrasion. Take advantage of our promotion: when purchasing 4 identical treatments, get the 5th one free. Payment in 3 instalments possible. Ask for a free consultation with one of our certified aestheticians. Photorejuvenation is a technique that uses intense pulse light (IPL) which provides younger-looking skin on the face. It reduces redness, pigmentation spots, and skin takes on a smoother, brighter, more youthful appearance. 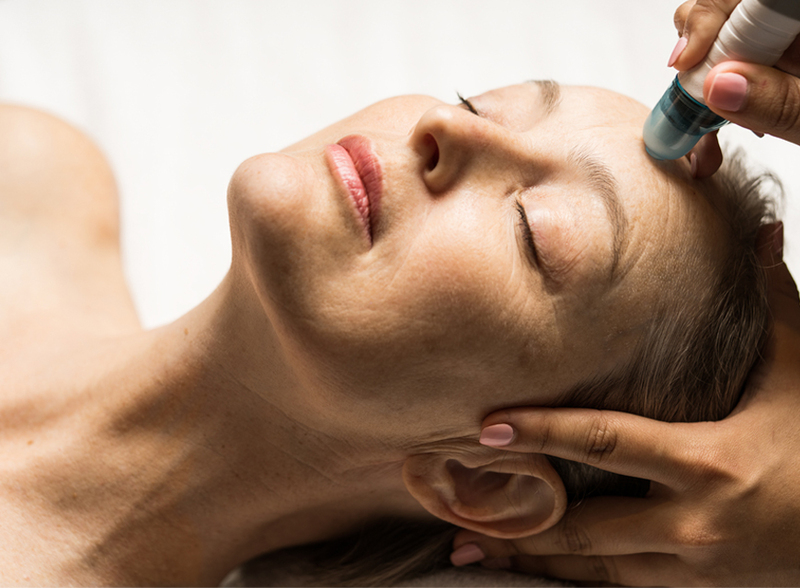 Photorejuvenation is a technique that uses intense pulse light (IPL) which provides younger-looking skin on the neckline. It reduces redness, pigmentation spots, and skin takes on a smoother, brighter, more youthful appearance. Known for its efficiency for a number of years, intense pulse light hair removal, also called IPL, is a safe technique with quick, long-lasting results. Take advantage of our expertise in medical aesthetic treatment and book your free, no-obligation consultation. A personalised approach is favoured in order to offer you a treatment plan tailored to your needs. 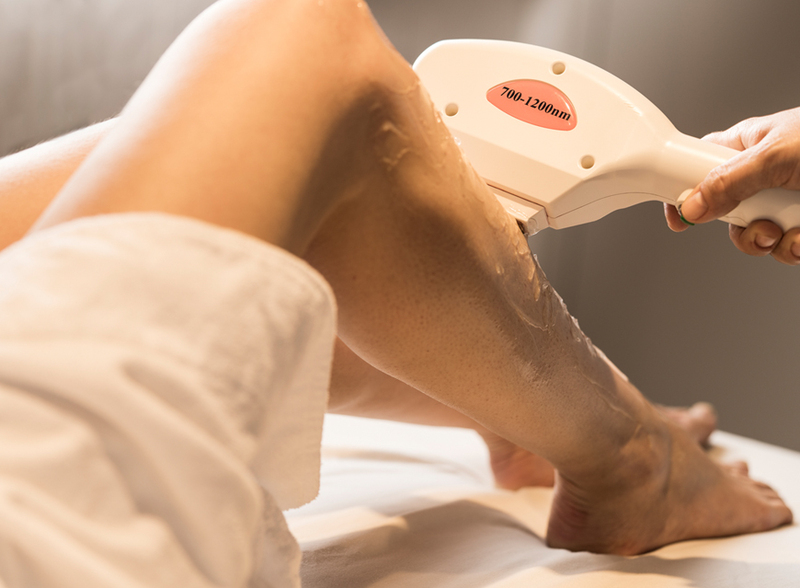 IPL hair removal requires between 8 to 12 treatments at 4 to 8-week intervals, according to targeted areas. Whether indulgent or express, manicures and pedicures offer you a well-groomed appearance. Leave with the nail polish bottle with a nail beauty treatment of 50 minutes or more. 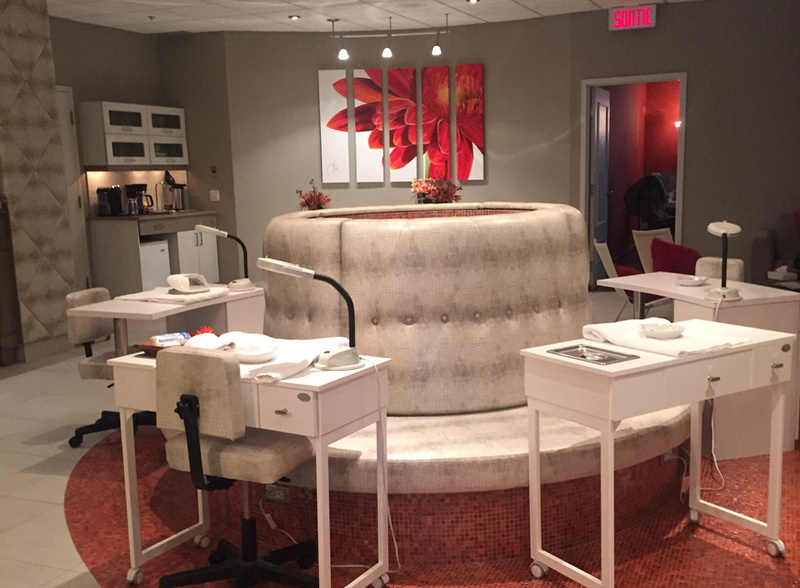 This treatment includes a nail beauty treatment, a cuticle treatment and a hydrating hand and forearm massage. Your treatment ends with the application of nail polish. You can leave with the nail polish bottle. 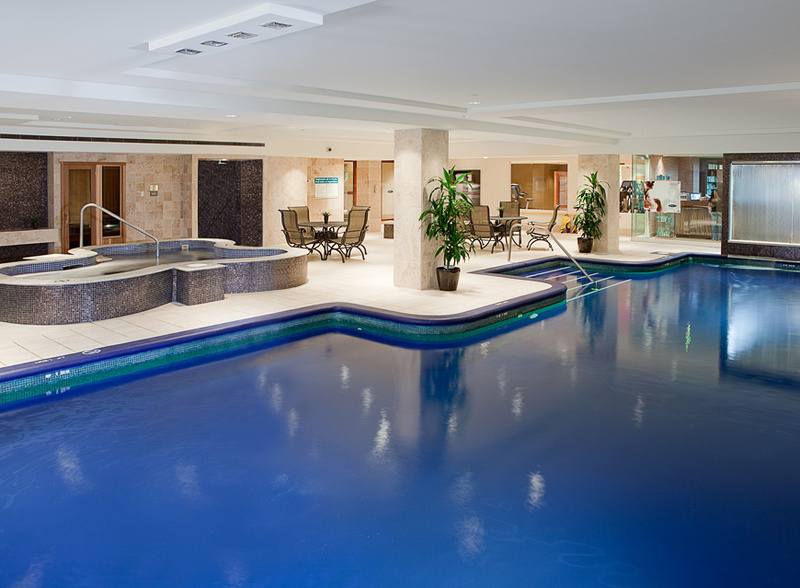 This treatment includes a nail beauty treatment, a scrub and a soothing foot massage and mask for ultimate relaxation. Your treatment ends with the application of nail polish. You can leave with the nail polish bottle. For pampering addicts! A warm pebble foot massage, the application of a fresh gel to relieve tired legs followed by our classic foot treatment. You can leave with the nail polish bottle. Colour, shine and extended wear, last up to 14 days without chipping. Manicure with Shellac nail polish application. A nail treatment and moisturizing of feet and front legs. The application of Shellac nail polish completes your treatment. Callus decrease, nail treatment and for absolute relaxation, a foot and front-leg massage. The application of Shellac nail polish completes your treatment. Warm or hot wax and electrolysis hair removal sessions provide clean and smooth skin. Ask our beauty specialists for advice to help you choose the method that works best for you. We also offer IPL Hair Removal. Please refer to the Medical Aesthetic Treatments section to learn more. High-performance body treatments that are hydrating, nourishing and relaxing for healthy, comfortable skin. All our body wraps include a soothing head massage. A moment of happiness to relieve tired legs and feet. A hydrating and relaxing treatment perfect for people working in a stationary position, after a sports activity or a day of shopping. An extra step towards well-being. This well-being interlude will start with an in-depth exfoliation of the back and follows with the application of an anti-inflammatory mask. A delightful back and foot massage makes this relaxing moment truly sublime. An absolute source of hydration, this bamboo, lotus and water lily cocktail soothes and smooths the skin for total well-being. This relaxing moment ends with a head massage and light modelage. The application of a hot gel mask all over the body will bring you a high concentration of nutrients, vitamins and minerals. This relaxing moment ends with a head massage and a light modelage. A nourishing body treatment with shea butter and grapefruit and mango essential oils. This relaxing moment ends with a head massage and a light modelage. A highly soothing treatment. The foaming formula of this scrub gently exfoliates while the toning and anti-oxidant properties of Labrador tea leaves skin feeling healthy. The treatment ends with a light and nourishing modelage. Reveal silky skin with this blend of shea butter and fine sugar granules. Grapefruit and eucalyptus essential oils stimulate and purify the epidermis. A light modelage comes after to hydrate and nourish the skin. Clear your skin of dead cells with this light and silky purifying foaming scrub. This exfoliation will lavish your senses with its wonderful smell. A light and nourishing modelage completes this treatment. A scrub, a nourishing shea butter body wrap followed by a light modelage to conclude. An ideal treatment duo to regain a smooth and luminous skin and provide a genuine sensation of comfort to the skin. A selection of treatments adapted to men's habits and skin type. 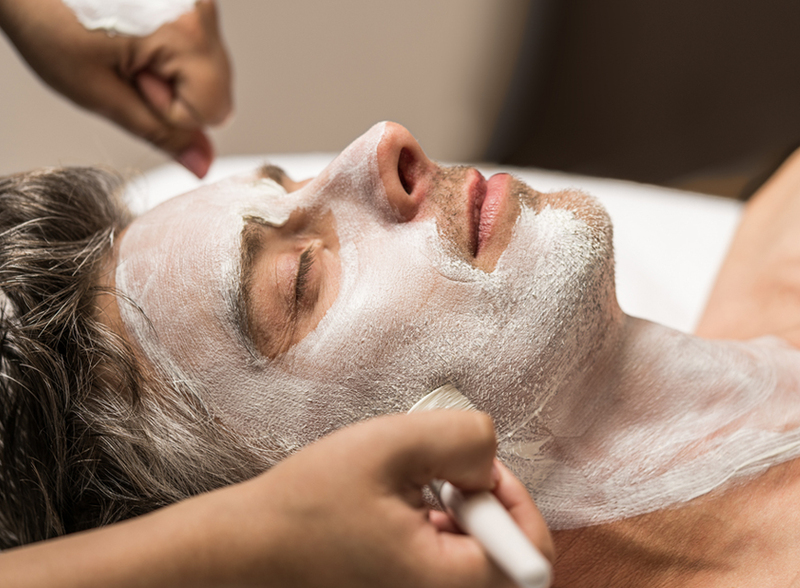 A facial treatment for men's sensitive and irritated epidermis due to external aggravation and shaving. Oxygen soothes, hydrates and tones the skin. A face, shoulder and hand massage offers immediate relaxation. A complete foot treatment including a foot scrub, callus decrease and moisturizing treatment as well as a foot and front leg massage. The treatment ends with a nutritive foot mask. The perfect treatment for any well-groomed man! This is a list of our most popular treatments. Many other treatments are available. For more information, give us a call at 1-866-263-7477. Plan a relaxing interlude and let time stand still, alone or with someone else. Packages are composed of several treatments: beauty treatments, massage therapy or body treatments. Relaxation Massage, Leg Comfort Treatment and Access to water facilities. Therapeutic Massage, Wellness Facial Formula Treatment, Express Hand Beauty and Access to water facilities. Relaxation Massage, Essential Facial Treatment and Access to water facilities. Rain Massage, Labrador Tea Foaming Exfoliation and Access to water facilities. Essential Facial Treatment, Classic Manicure, Classic Pedicure, 2 bottles of Mavala Polish and Access to water facilities. Aromatic Oil Massage, Gentle Shea Butter Body Wrap, Essential Facial Treatment, Revitalizing Leg Break and Access to water facilities. Glass of champagne and fine chocolates and Balneo Escape: whirlpool and/or thermoludique shower and Elixir Ice Cider Massage. Cheese platter, fruits, glass of wine and Balneo Escape: whirlpool, thermoludique shower and Signature Massage with special oils of 80 minutes. Let our team organize your event and enjoy a spa package adapted to your needs and image. For more information, please contact us. This is a list of our most popular treatments. Many other treatments are available. For more information, give us a call at 1-866-263-7477. Offered as gift certificates until May 12th, 2019. Redeemable from May 12th, 2019 at all Amerispa and Moment Spa centres in Quebec. *Valid on regular prices and not valid on food and drinks purchases. 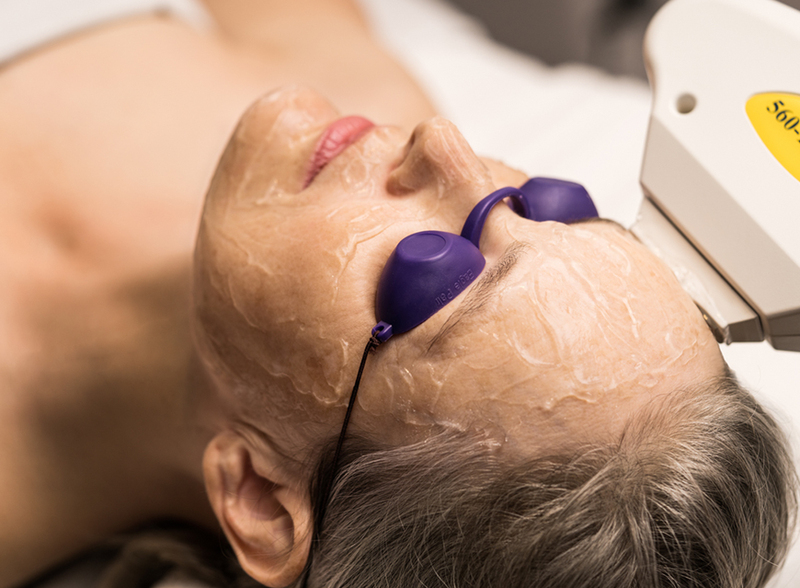 A microdermabrasion session refines skin’s texture and scrubs imperfections while stimulating collagen in order to reduce lines and wrinkles. It is as a cure that you will get the best results. Ask for a free consultation with one of our certified aestheticians in one of our centres mentioned above. Get 20% OFF* treatment or package of your choice every Tuesday of the month. *Valid on treatments and packages at regular price at Amerispa Le Bonne Entente. Photo identification required to receive discount. Receipts for insurance purposes are available. Cannot be combined with any other discount or promotion. Ask our massage therapists about our complete range of massages. Available for 50, 80 or 110 minutes. Receipts for insurance purposes are available. *Valid on massages at regular price. This treatment series is valid at all times at any of our locations and can be paid in 3 instalments. Cannot be combined with any other discount or promotion. Applicable for one person only. Valid for one year after the 1st payment. All 5 treatments must be taken at the same spa. Our aestheticians will provide expert guidance to help you select the facial treatment best suited for your skin type. *Valid on facial treatments at regular price. This treatment series is valid at all times at any of our locations and can be paid in 3 instalments. Cannot be combined with any other discount or promotion. Applicable for one person only. Valid for one year after the 1st payment. All 5 treatments must be taken at the same spa. Let our team organize your event and enjoy a spa package adapted to your needs and image. Whether for a bachelorette party, to complement a business meeting or to celebrate a birthday, Amerispa is there to make your special moment memorable and relaxing. We will be happy to help you make this event a success. For more information on creating your tailored spa package, contact us by phone at 1-866-263-7477 or online. Please include the selected Amerispa location in your request. *Minimum 6 persons. Certain conditions apply.